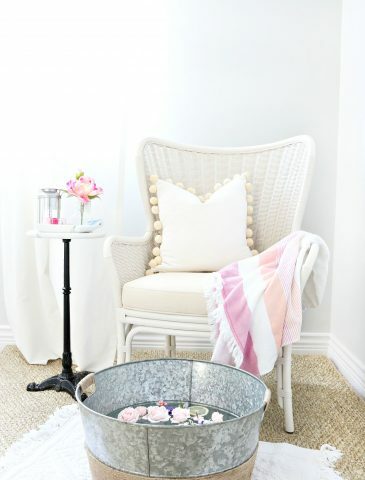 I always find Summer is the perfect time to try a few new beauty products – something fun and easy on a lazy hot summer’s day, it is after all the perfect season to embrace the natural beach wave. So I’m always excited to open up the sea salt spray and take a break from the hot tools to let my locks rejuvenate. 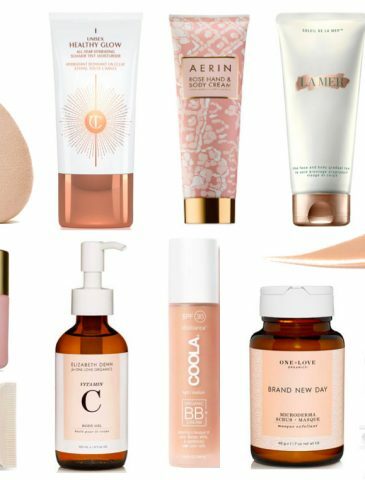 I also try to find a new sunscreen, and as I really haven’t found my absolute go to yet I’m still searching as there are so many new products out there! 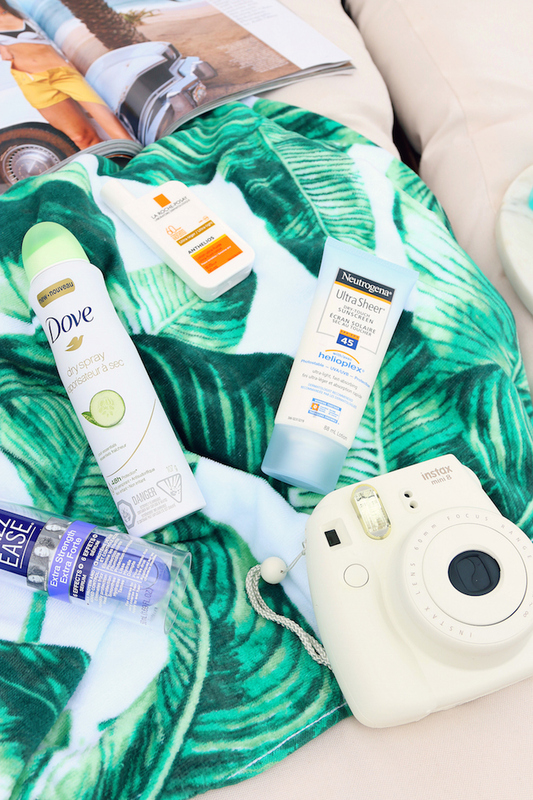 This summer I’ve teamed up with Shoppers Drug Mart to find a few new summer beauty favourites that are perfect for a beach excursion and every day beauty regime. I decided to stick to sun protection and hair since these two are my priorities over the summer months. I absolutely love John Frieda’s Beach Blonde ‘Sea Waves’ Salt Spray! It gives you that care-free texture that can only be achieved at the beach, without any icky residue feeling. It really creates that natural beachy wave with control at the same time – who needs to go swimming as I’ll be using this all summer long! My big secret is to also add John Frieda’s ‘ Frizz Ease’ to help control the fly aways, as the humidity can really wreak havoc with my natural beach waves. I used to use this when I was younger and forgot just how amazing this serum is! 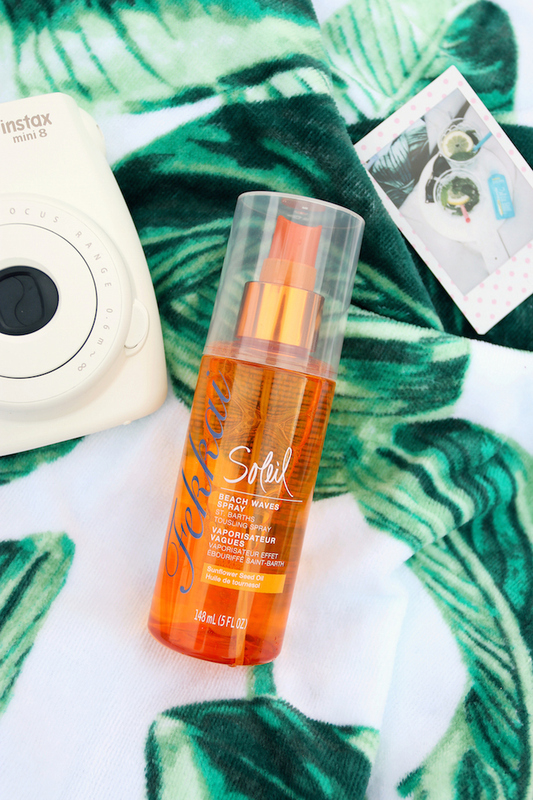 The Fekkai Soliel ‘Beach Waves Spray’ is also a winner! I loved this spray because it doesn’t give too much of that salty texture and just helped with soft natural waves. I really enjoyed how smooth and weightless it was when I tried adding some extra curls with my curling wand. 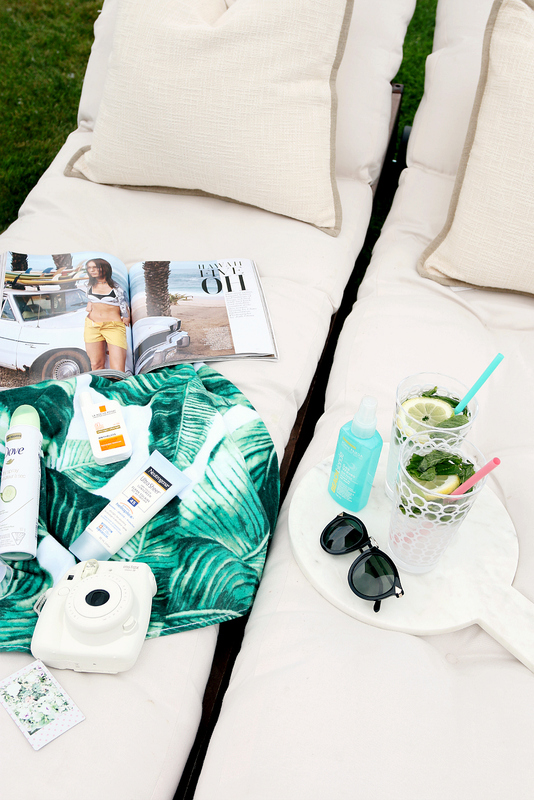 Okay, let’s talk about sunscreen. Over the years I’ve gravitated towards Neutrogena, and I’m not even sure why. 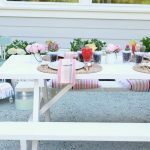 I’ve honestly trusted their brand because of the amazing protection provided without being overly ‘greasy.’ I’ve been using their “Ultra Sheer” Dry-Touch SunScreen for a few years now and love it. 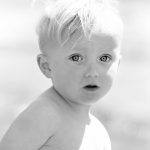 However, when it comes to my face, especially as I get older, I wonder if I should be using more of an anti-aging sun protection or perhaps even a higher SPF? 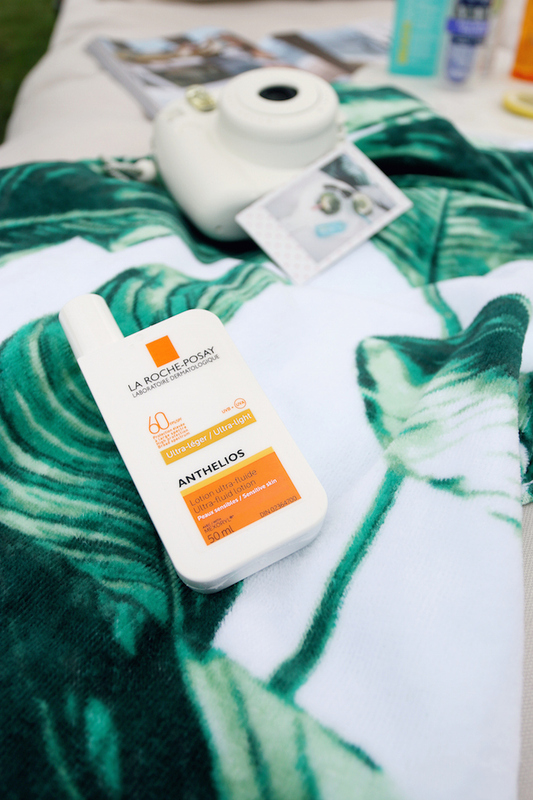 So, I grabbed LA ROCHE-POSAY’s ‘Anthelios Ultra Fluid Lotion’ in SPF 60. It sounds fancy and boy does it ever feel amazing on my face! This has to be the most light weight face protection I’ve ever used. I’m excited to keep using it daily over the summer. And of course, I have to include my favourite deodorant, Dove’s latest Dry Spray. I talked about it on my blog a few weeks ago but it is honestly my favourite! Seriously, it is so so so so great for a summer day (especially if you’re headed to the beach) as it is a completely dry spray and you can’t feel it at all. And most importantly, it works! 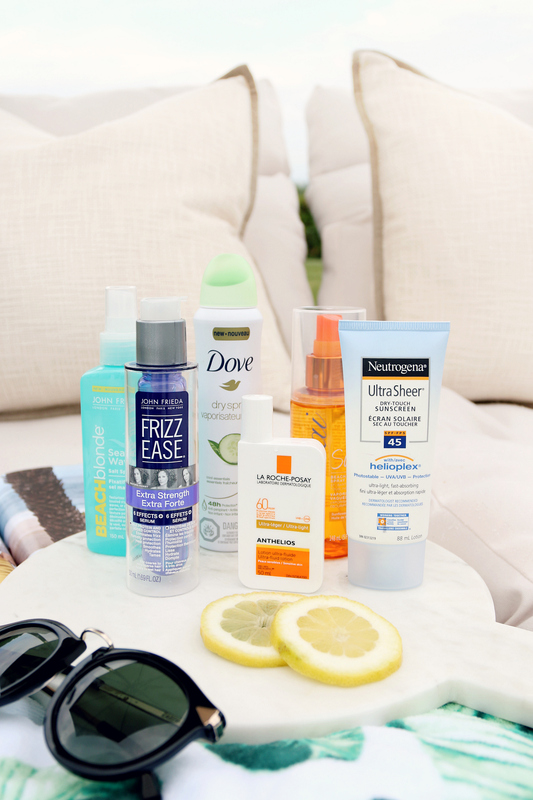 Shoppers Drug Mart has a huge selection of beauty products perfect for the best Summer Beach look! 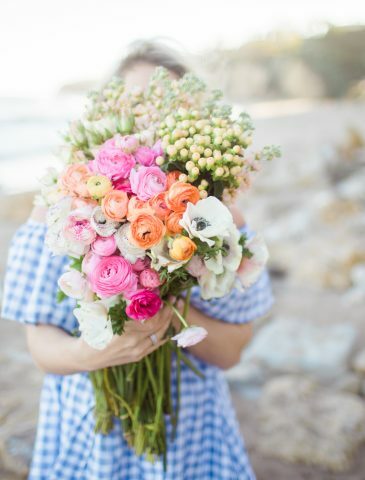 If you’re still on the hunt for your perfect match be sure to try some of my favorites – hopefully you like them too! 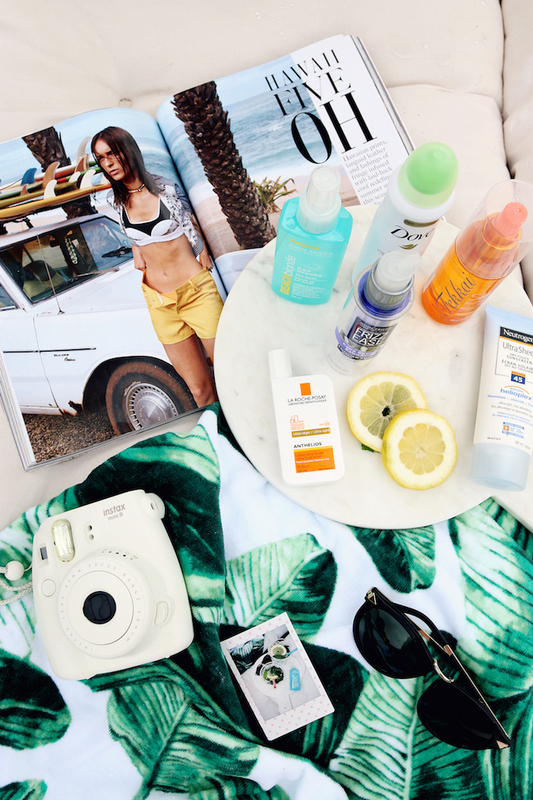 Plus, Shoppers has a contest on in-store right now to win $5,000 so it’s a great time to stock up on your beach necessities. Find out more about the contest here. This post was sponsored by Shoppers Drug Mart, all comments & opinions are my own.